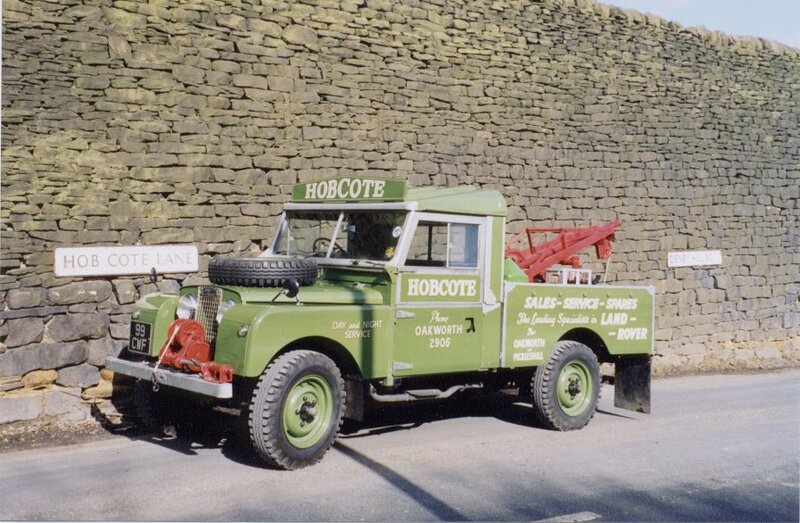 When this Land Rover first came to our attention, we were more than impressed with the level of restoration, and the attention to detail. 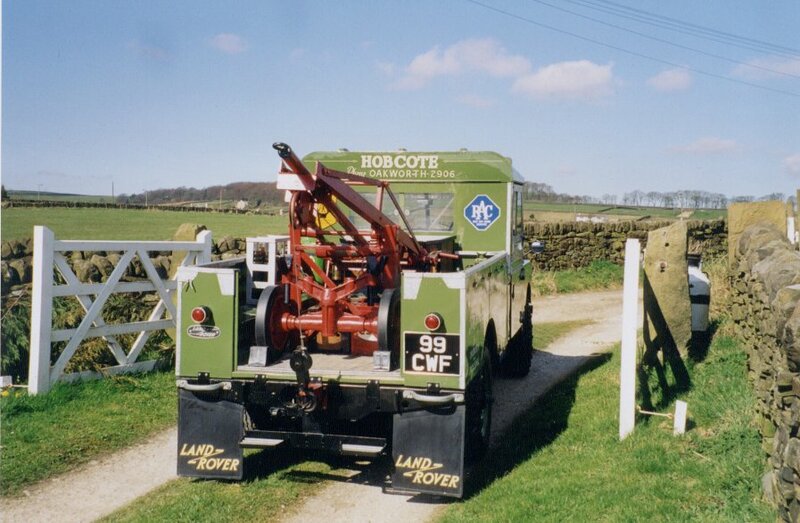 It has many period features, such as the Harvey frost crane and “ambulance”, original oil bottles, Esso and Castrol cans, trolley jack, and bumper mounted winch. This particular Land Rover has also been featured in Land Rover World magazine, and completed the 1996 London to Brighton run. We first met Mr Johns when he suffered what has become, probably the most expensive puncture in the history of his 1976 Triumph Bonneville. It occurred just around the corner from our premises, and he called in to see if we would store the motorcycle for a few days. 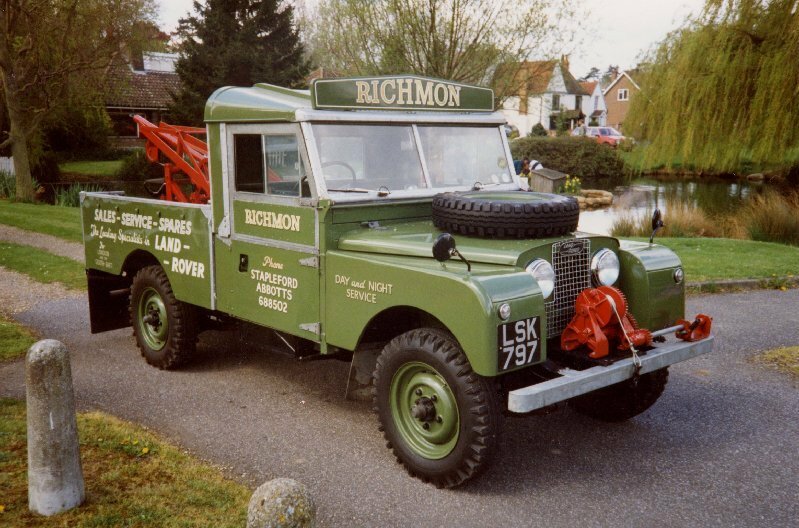 LSK 797 was proudly displayed in our showroom, where it had been attracting admiring glances from all visiting Land Rover enthusiasts. Mr. Johns is no different to any other Land Rover enthusiast, and spent 1/2 an hour or so admiring her whilst he awaited his transport home. He must have been impressed, because within a week he was back negotiating the purchase. 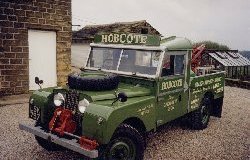 The sign writing has now been professionally re-applied to represent its new Northern home, and sits alongside Mr. Johns Series II. Below are a couple of latest pictures that show it with its new personalised registration number.